2 weeks from when I began them! a pair of shorty socks? no. 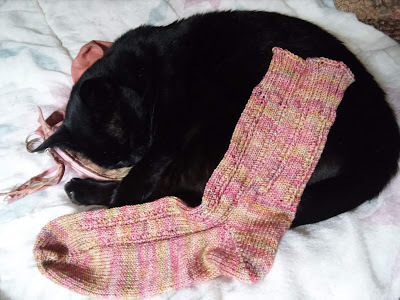 another block on my sock blanket? yes. a newborn hat on the knitting machine? yes. What wonderful decisions to face! Whoa.....that was FAST!!! They look great. They're striking, and the remnants will make an attractive block and baby hat. Nice finish (and fast!!). 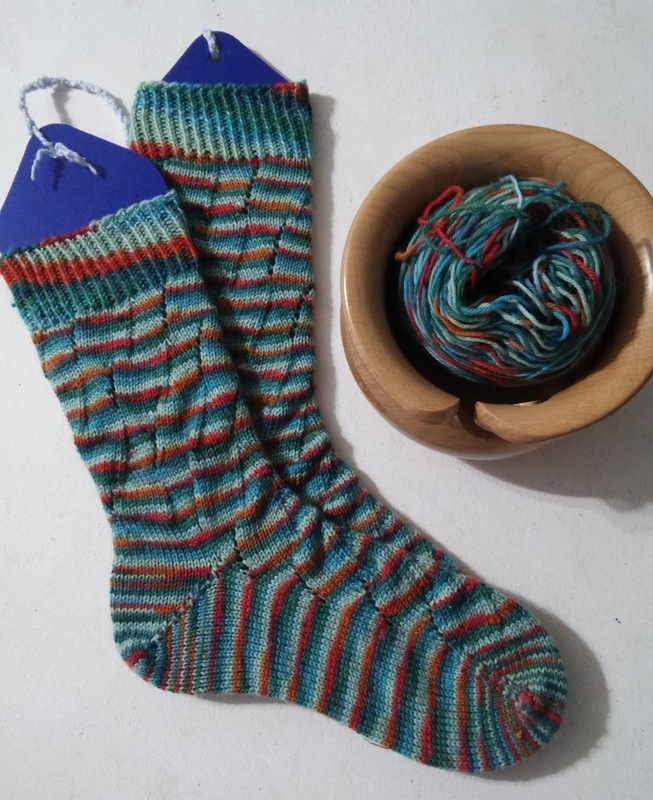 Love the yarn. Wow that was fast, and the colors are terrific! They turned out great! And I love playing with leftovers! Amazing how the color changes when the stitch patterns do. Love the colors.